This post, Eastern Hemisphere and World Cultures with Sonlight | Our 2017-2018 Curriculum, contains affiliate and referral links. Hi friends! I know it's kind of late in the year to be sharing our curriculum for the school year, but I've had such a busy and stressful fall that I'm just now getting to share. I'll share in outline form (the short version) and in paragraph form for the long version. The long version explains my thoughts on choosing. Bo has done Sonlight since he was three, and Level A is next. I think it's a perfect level for 1st grade and is one of my favorites. I was planning to add in Five in a Row as it tied in with Sonlight, as I have done before, but Sonlight is enough. When we got to Russia, I was tempted to pull out Another Celebrated Dancing Bear, but I couldn't because I loaned my FIAR Volume 1 set to a friend, haha. I'm a little sad because Bo is the perfect age for rowing, but it would have been too much work. I'm happy we are just doing Sonlight. Bo is a really organized and scheduled little boy, and he thrives on knowing exactly what is expected of him each day. He loves checking off the boxes in the IG, and when we misplace a book, he's not afraid to cross it off so we can keep moving forward. (We can't find Llama Llama No Pajamas right now). We are currently finishing up Week 12 in HBL A (at the time of writing). The older two are working more independently (for now), and all three kids are doing their science experiments on their own — even Bo. He likes the Usborne Science Activities book and can read and follow experiment directions on his own which has made things easier on me. Bo loves to read, and All About Reading has been an amazing program. Since Bo wants to do his own literature, I am using All About Reading 2 for guided reading and Sonlight Grade 2 Readers for independent reading (on his own — he even checks off his own boxes). He shares a room with Malachi, who is a bookworm, and he wants to read a book at bedtime, too. I am loving PAL for him. He's working on Part 1 because his fine motor skills are still developing. He's great at retelling stories and completing the Story Sequence Chart, but all his writing except letter practice is done orally. My boys seem to take off with writing at the age of seven, and Bo will be seven this month, so I'm not worried. He's becoming quite the competent communicator and thinker without having to lift a pen! He's on Lesson 17, and I'm using Stories from Grandma's Attic (Sonlight A) which is such a great little book because each chapter title hints at the clincher and has a clearly defined moral, lesson, problem, or surprise which is perfect for summarizing a story each day So, so, so happy with this program (and IEW). Of course, it includes All About Spelling 1, which I love. Instead of giving him a spelling test on the letters in Book 1, we are progressing through AAS 1 and are on Step 10. I was originally planning a year full of country studies with plenty of cultural enrichment activities, but by the time I had my curriculum pulled together, I realized it was going to be too much. When I realized it was more than I could do, I initially thought I could spread it out over two years, but I can't really afford to spend that much time (or energy) on geography because Malachi will need to move on to be ready for high school, which is suddenly right around the corner! I had Sonlight HBL F on my list for Malachi (not Eliana at the time because I thought she was too young), so when I had a chance to get the HBL F package in exchange for blogging about it, I took everything I had planned off the shelf and boxed it up to see how I would feel, and I felt relieved. 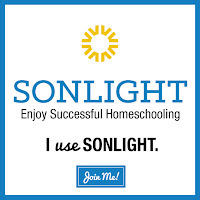 Since I had recently been challenged to stop doubling up and pick the curriculum that does it better, I felt good about choosing Sonlight because I started our homeschool journey with Sonlight 12 years ago and have had it running in the background as the base of our homeschool for the past 6 years. So, far, I have shared how I plan to be content with just one curriculum, how I set up our IGs for ease of use, our itinerary for an Eastern Hemisphere education, and our travels in China from the comfort of our couch. Eliana, 10, is a bit young for HBL F. It has some mature themes that I would have waited on, but are using these books to spark difficult discussions about hard topics. Malachi, 12, is doing just fine with the content. From Andrew's introduction to Student Writing Intensive: *Each level (A, B, or C) presumes no previous experience; levels differ mainly in the type of source texts used, speed of presentation, and sophistication of vocabulary. Choose the level based on your child’s age and maturity rather than writing ability, and if you wish to use the SWI with children of mixed ages, you can generally select level B, “shooting for the middle.” I didn't know this! I thought you did A, B, and then C, but you only do one of those. Then you move on to Continuation. Students find and fix errors from passages that ultimately tell a story, such as The Nose Tree. With this program, students apply what they learn right away, so their knowledge transfers over nicely to their writing. I fell in love with IEW one year ago after years of resisting it. I even had a "things I say no to" list, and IEW was at the top of my list! It looked overwhelming, and I thought it would be too hard, but I couldn't have been more wrong. I even geeked out and bought a giant white board, switched to pens, and vowed never to return to workbook grammar/writing lessons again because while Malachi was passing the workbook exercises, he couldn't apply what he was learning in his actual writing. It was torture to read his writing, poor guy. We did Student Writing Intensive - A (SWI-A) last year while moving quickly through the first 6 units in 6 months, and his writing improved dramatically. I've never been more impressed with a writing program. 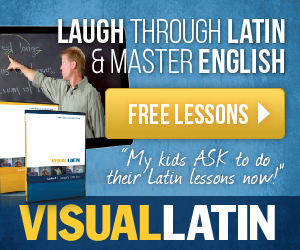 It's such a natural way to learn that can be used across the curriculum and throughout life. I bought Level C for Dylan to use last year, so I thought we'd just go through it again, using Level A and B source texts from the Writing Source Packet. Then, I'll either choose a themed unit, such as All Things Fun and Fascinating, or wait until I can afford Continuation B ($199), which is where we need to go from here. 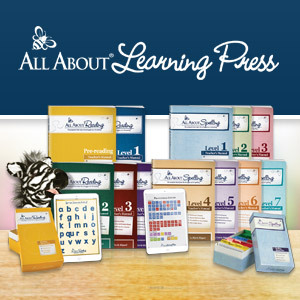 Malachi and Eliana have both used All About Spelling since the beginning (All About Reading too — see my reviews here), so it feels natural to continue, especially since Malachi is on the last level, and I love teaching with All About Spelling. Noeo blends very well with Sonlight because the schedule is done in a similar manner. With Noeo we journal what we learn in a notebook — there are no science sheets or teacher's notes, but there are many hands-on activities with the book Gizmos and Gadgets. I wanted to keep Malachi and Eliana together for science (for at least one more year), so I initially thought I would add a few things from Physics III for Malachi; however, I don't want to do the Tiner book, The World of Physics, afterall because Malachi is doing Thinking Like an Engineer. We are only on Week 3 in Noeo because we started our year with Exploring Nature with Children to enjoy the beautiful fall weather. I wanted to spend as much time outside in the sun as possible while we could, and I'm so glad we did. We had a busy fall, took 3 weeks off for the fall festivals, and were still getting into our grove by the end of November, but we are settling into a nice, steady homeschool routine in December. I had Life of Fred Pre-Algebra written down for Malachi originally, but he is really liking UnlockMath. So far, he's completed 25% of the course with an 87%. I also have Pre-Algebra Concepts from Math Essentials on my list because it is affordable, non-consumable, and has video lessons. (I really liked No-Nonsense Algebra and wouldn't mind having all of their courses, but I am using what I have for now). I was originally planning to have Eliana finish Math Lessons for a Living Education 4 then move on to Level 5, but she fell in love with CTCMath when I reviewed it. I'm glad because it is working out great. It's nice to have one less subject to teach. Exploring Nature with Children This book includes poetry, picture study, and literature to enhance nature study. We did this for science this fall and will hopefully do a few lessons each season — at the very least. 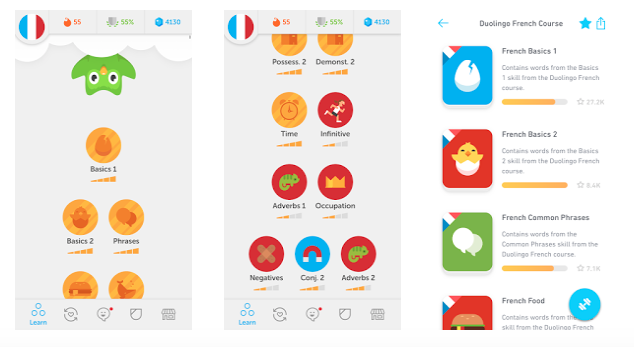 For French, we are using DuoLingo and Tiny Cards. It's fun and a little addicting. I'm on a 55 day streak and loving it! (We are using the free version). I am strongly considering core A or B for my kiddos this next school year. I have never used sonlight before. We currently use mostly BJU distance learning but I would like to incorporate more of a literature approach for content subjects we also have dabbled in FIAR for several years and I am currently using and loving BFIAR for my 6 yr old with language processing disorder. I am consider Sonlight for my 7 yr old Twins with the 6 yr old listening in as she wants too . I also have 12 and 14 yr olds . I am mostly drawn to coreA because the read alouds seem like they might be more interesting to my boy but the twins will turn 8 during the study . Would you recommend beginning with core A or B ? I would recommend beginning with A for several reasons. 1. The fact that you are drawn to A is #1. Trust your instincts and go with what appeals to you. 2. I like the idea of having your 6 yr old listen while you read to the twins. My 11 and almost 13 yr olds still listen in to Level A when they can. For example, I'm currently reading Twenty and Ten from Level A, and when my 11 yr old had to go to volleyball Thurs. night, she asked me not to read while she was gone. :) And my almost 13 yr old has already read the book to himself. 3. It's what I did with my 5 yr old daughter and 7 yr old son who turned 6 and 8 in the middle of the school year (January and February birthdays). I had just finished the Pre-K level (P 4/5) that past spring, and while I bought it for my daughter because I didn't feel she was getting as much out of FIAR as my son, my son sat through every book and loved it just as much as she did. So, we continued on with A, and I'm very happy with how it worked out. We have progressed through the levels and are now on Level F.
4. I like to have my kids on the upper end of the age range with Sonlight while doing grade level work for reading, writing, and math. Since the age range for A is 5-7, I'd consider their age at the start of the school year as the deciding factor. 5. 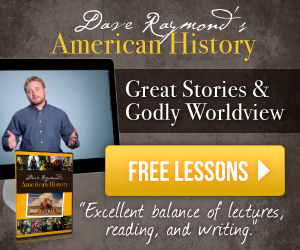 If your 6 yr old does enjoy listening in, then you can keep the younger kids in the same level for History, Bible, and Literature from here on out. I like to combine what Sonlight calls "couch subjects" whenever possible. Thank you so much for your detailed response. That is very helpful.